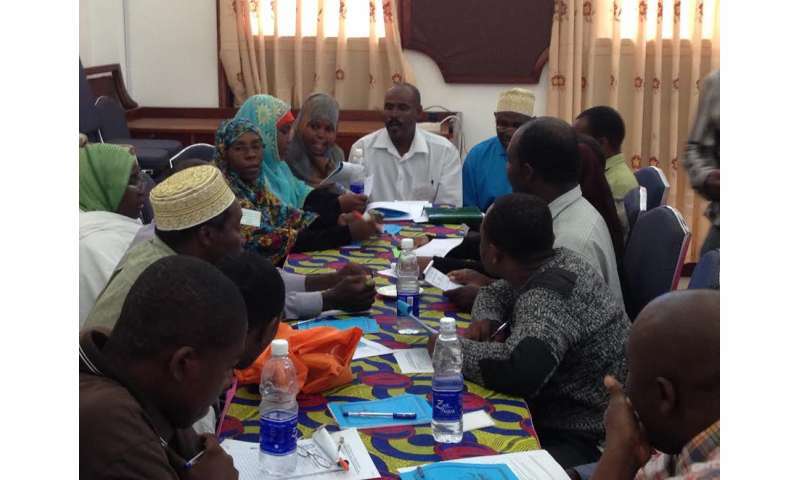 One of the workshops conducted with local community members to determine how land use and carbon emissions might change. Credit: © Ashwin Ravikumar, The Field Museum. The world's forests are crucial to slowing climate change, but they're often destroyed to make room for farms, mines, and other economic ventures. One possible solution to deforestation is carbon finance: giving companies and countries monetary incentives to reduce their climate change-causing carbon emissions from deforestation. But carbon finance isn't in place on the large scale yet, and it's unclear how effective it might be. A new study suggests that potential success for carbon finance varies widely—it can work under the right conditions, but it's not a one-size-fits-all solution. "Forests are one of the most important tools available to humanity for mitigating global climate change. This study tells us what the viable solutions might be in different areas," explains the study's lead author Ashwin Ravikumar, an environmental social scientist at The Field Museum in Chicago. "No one solution will work everywhere—we need to tailor solutions and funding streams to individual situations." In a paper published in Environmental Research Letters, Ravikumar, along with researchers from the Department of Forest Services in Finland and the Center for International Forestry Research in Peru, explores the potential benefits of carbon finance in various landscapes around the world. The team conducted a series of workshops in Indonesia, Peru, Mexico, and Tanzania, asking local farmers, politicians, NGO officers, and businesspeople to come up with their best guesses as to how business and farming might affect land use in the coming decades. The scientists then compared these hypothetical land uses to the current ones and determined how much money could be earned by countries working to conserve forests and reduce their carbon output. The results were hugely varied. "We were shocked by how much income could be generated by carbon finance in some areas and how little it could bring in others," says Ravikumar. "Conventional wisdom says that if you save a forest, you'll make a big difference in carbon emissions, which would translate to a lot of money in the carbon market. But that's not always what we saw. In the forests of southern Mexico and the interior of Tanzania, for example, there wasn't a huge difference in carbon emissions between aggressive conservation and high deforestation scenarios. On the flip side, we were blown away by how critical the peat forests in Indonesia for reducing carbon emissions." One of the reasons behind these differences is carbon storage potential—the amount of potentially harmful carbon that's safely stored in tree tissues. Peruvian forest, one of the specific landscapes studied by the researchers. Credit: © Ashwin Ravikumar, The Field Museum. "Forests lock carbon into their tissues and keep it out of the environment, but it's a double-edged sword—when forests are destroyed, that stored carbon escapes into the atmosphere, making climate change worse," explains Ravikumar. 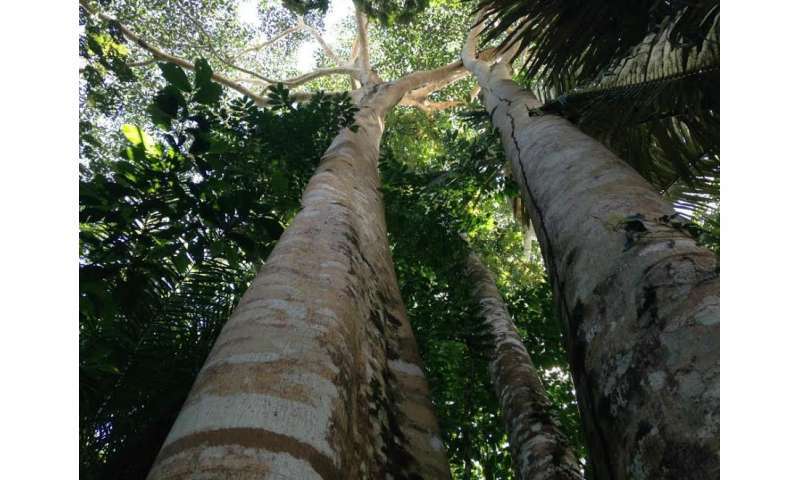 Different kinds of forests are able to lock in different amounts of carbon—there's more carbon stored in lush, tropical Amazon rainforests with leafy trees than in a dry Canadian forest populated with pines. Peat forests, whose soils contain lots of complex organic matter that isn't readily broken down, are especially carbon-dense and important to maintaining the global climate. That means that in many cases, peat forests are great candidates for carbon finance—there's a huge difference in the amount of carbon emissions in a region with a peat forest and a region without peat. That means that countries with peat forests could stand to reap big carbon finance rewards for conserving their peat forests. "If you incentivized carbon storage, though, conserving environments like that peat forest could earn 3.5 billion dollars over the course of thirty years," says Ravikumar. "Meanwhile, the model shows that conserving a dry forest in Zanzibar would net only about 38 million over the same time frame—much less than the peat forest." Ravikumar says that being able to accurately estimate the benefits—or lack of benefits—of carbon finance is crucial. "If you're working with local people and telling them how preserving a forest could benefit them, you need to be able to give them realistic expectations. If you're wrong, it undoes the legitimacy of the project and breaks down trust." And while the study works with models and estimates, Ravikumar stresses the value of this speculative work. "There are limitations to predicting the future," he says, "but this paper is not the end of the story. It's not a crystal ball, but if we don't think about this stuff systematically, we're flying blind." Ravikumar has hopes that this study will help to inform future policy decisions regarding conservation and carbon finance. "My hope is that policy-makers and NGOs will think critically about how carbon finance will work in their area. In places that we want to conserve, we shouldn't put all our eggs in the carbon finance basket when those eggs might not hatch. But there are cases when carbon finance could have an enormous conservation impact, and studies like this one can help us to determine what those cases are."